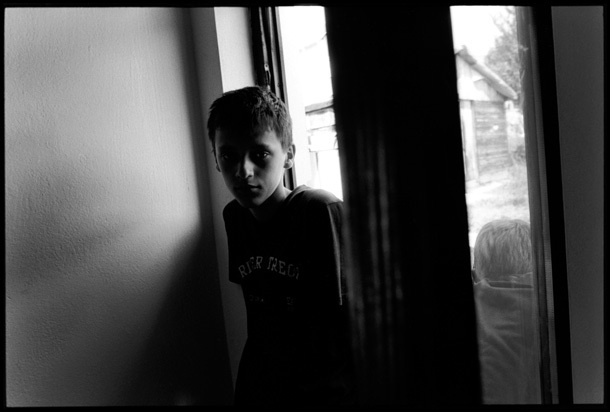 Amsal Karkas, 13 years-old, in the small home he shares with his mother and brother in Tuzla. They are one of countless displaced Bosnian Muslim families still living in aid-donated accommodations since fleeing Srebenica. Magbula’s 2 bothers were killed in the war, one at 16 years-old in a massacre in Srebenica, and the other who had been conscripted into the Bosnian Muslim army. Amsal wants to be a policeman. Magbula Alispahic, 45, with her son Amsal.